Hospitalizations are often necessary for those who are ill, having a baby, or requiring lifesaving procedures. While the patient care received is intended to enhance health and ensure survival of critical events, it can come at a cost. Some of the challenging aspects of hospitalization include pain, stress, anxiety, sleeplessness and social isolation. Adams and colleagues, the authors of "The Effects of Massage Therapy on Pain Management in the Acute Care Setting" published in the International Journal of Therapeutic Massage Bodywork, address these issues and detail five previous studies on the topic of massage benefits for patients. Among these studies, established benefits include a decrease in pain and the need for medication, lowered stress levels, improved sleep, as well as decreased anxiety and depression. Adams et al., describe their study as an attempt to answer the question, "does the use of massage therapy in an inpatient setting improve patient perception of pain management?" Their study focused on the perception of pain management, in addition to the analysis of pain levels and medication usage. Their interest lied in the patient's quality of experience and psychological healing, the "personal experience of the transcendence of suffering." They proposed that such healing is very personal, with different meaning for different people. To study these inner aspects of healing, they used a mixed methods approach, meaning they blended aspects of qualitative and quantitative measures in hopes of uncovering valuable insights into the effectiveness of the intervention. Most medical research focuses on quantitative methods of analysis. This process means that all aspects of care are reduced to numerical values for the benefit of statistical analysis. The patient's experience is quantified on a visual analog pain scale or by the number of pain medications and/or dosages. While such numerical values allow researchers to make easy comparisons between patient behaviors, it does not address an understanding of the patient's inner world. Qualitative methods are considered more difficult to compare and are less commonly used in trials on pain and medication use. However, there is a trend to reconsider such data as it is valuable for understanding the psychological impact of interventions. In this case, the question is, "did massage have an impact on the sense of healing for the patient?" Adams et al., recruited 65 inpatients to participate in their study in a nonprofit community hospital serving a large rural area of northern Arizona. All participants had physician's orders for massage therapy, were able to give consent and provide data. The massage sessions were provided by massage therapists employed by the hospital who had specialized training and experience with medically fragile patients. Each massage was 15 to 45 minutes long and the modalities used included Swedish massage , acupressure and craniosacral therapy. 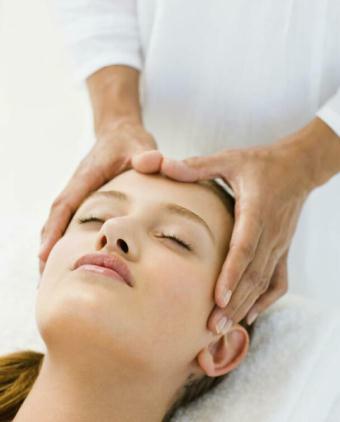 Massage was most commonly applied to the head, neck, shoulders, back and feet. Lightly scented or unscented lotion was offered to the patients, as well as relaxing music. The quantitative data collected included Visual Analog Scales for pain using a scale of 0 to 10, as well as the effect of the massage on pain, sleep and relaxation through surveys provided to the patients. The survey and VAS information were collected before and after the massages. Additionally, the number of massages each patient received and the number of days of the hospital stay was recorded. The qualitative data came from comments found in the nursing charts as well as open ended questions on a post-hospitalization survey that asked patients to comment on their massage experience. Fifty-three patients completed the research study. Pain levels significantly decreased from an average of 5.18 before the massage, to 2.33 after massage suggesting that the massage was associated with the patients' decrease in reported pain levels. For most patients, the decease in pain was experienced for one to four hours after massage. Some participants reported feeling the decrease for up to eight hours, while seven participants reported feeling the effects for 24 hours. Sixty-seven percent of the participants reported they planned to continue to use massage as part of their healing process. Participants perceived that massage decreased their overall pain levels and need for pain medications, and improved emotional well-being, sense of relaxation, and contributed to a faster recovery. No participants reported feeling massage had a negative effect on their recovery. Grounded theory was used to analyze the qualitative data. The authors describe this theory as a method for allowing data themes to emerge and then identify categories, and look for interrelationships between those categories. Forty-five participants returned their post hospitalization surveys. Several themes emerged, including benefits for pain management, improvement in sleep and relaxation, emotional well-being and healing. The primary theme among the qualitative data was "massage therapy promotes recovery." One example of qualitative feedback from a specific patient was this quote: "After three days in the hospital I was suffering a migraine, nausea, and a lot of body pain. After the massage my headache was lessened and my body pain was greatly reduced." Additionally, notes from nursing reports included comments, such as "patient reports relaxation and pain relief after massage, slept for three hours." Fifty-two percent of patients reported needing less pain medication after the massage; 98% of patients reported increased feelings of relaxation following their massage. Comments about the positive effect of pain relief on sleep were very common. There have been many studies evaluating the effects of massage for hospitalized patients; all showing great benefits such as those highlighted in this study. 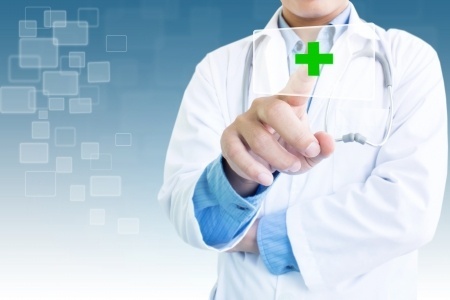 Previous studies primarily focused on one type of patient in one location in the hospital, such as oncology patients. This study deliberately took a wider view of hospitalized patients with the aim of showing the benefits of massage extend to all wards of the hospital. Consistent with previous research, this study showed a significant decrease in pain levels after receiving massage. Though this study provides compelling evidence for the use of massage to reduce pain and improve the experience of recovery in the acute care setting, some limitations of this study should be noted. First, there was also no control group in this study due to issues of funding. Second, the sample size limits power of findings. Third, this study included patients who were stable enough to fill out paperwork and give feedback; the authors suggest that patients who were less medically stable might not benefit so greatly from massage. Future research should include a larger sample, with a control group. The authors also suggest subsequent studies should be conducted to collect physiological data such as heart rate, blood pressure and oxygen levels which was not done in this study. These findings support the use of massage therapy for patients to promote pain relief and relaxation, and aid the healing process in the acute care setting. This research contributes compelling evidence that supports a growing body of knowledge and massage therapy outcomes research.